If you’ve ever gone to a fancy coffee shop, then you’ve probably come across some snooty customers. 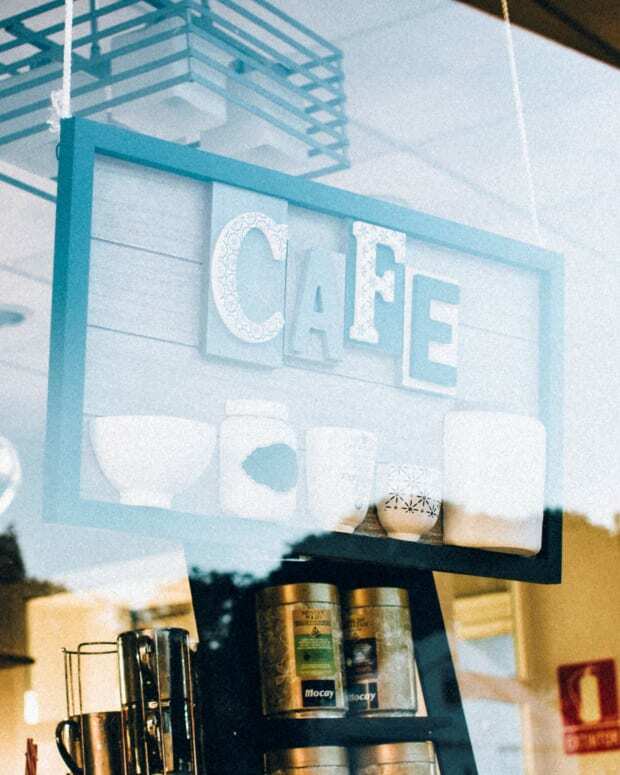 Because these caffeine-seekers are willing to shell out an arm and a leg for a cold brew or latte, they expect exceptional customer service and for baristas to always have a beaming smile on their face. 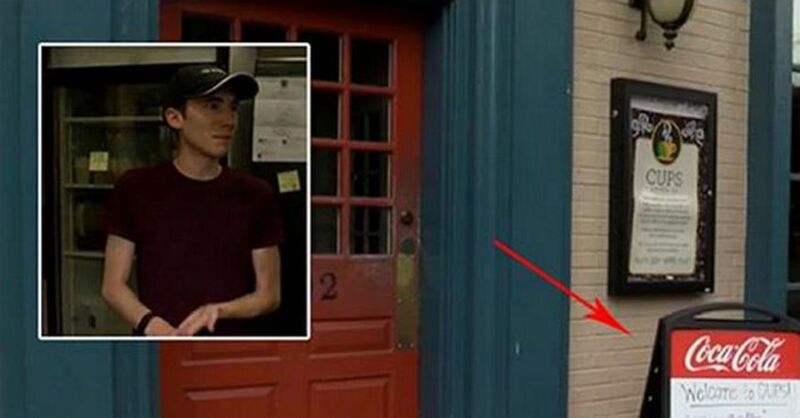 Coffee shop owner Austin Simms was fed up with rude customers, so he put up a sign to make sure that people changed their tune next time they walked into his shop. 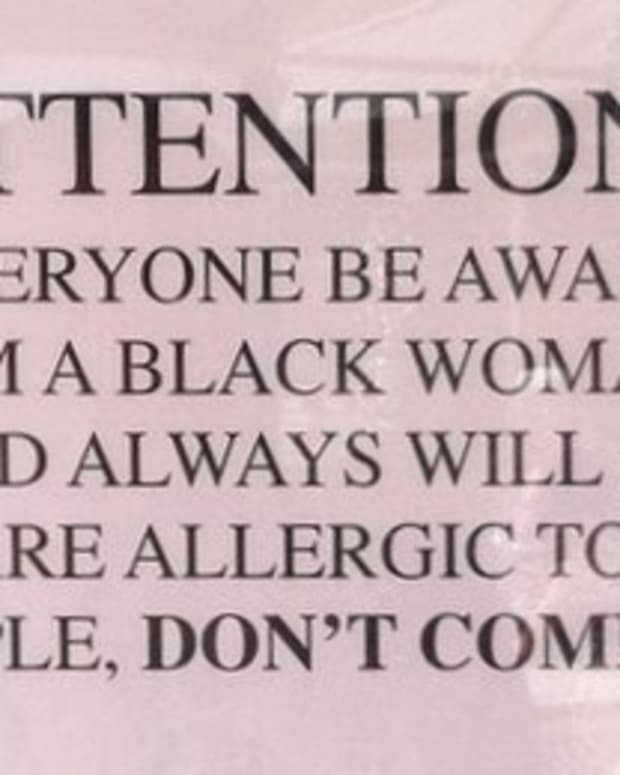 Rude people are everywhere in America. You’ll come across a dozen of them when you’re driving along on the highway or in your city. 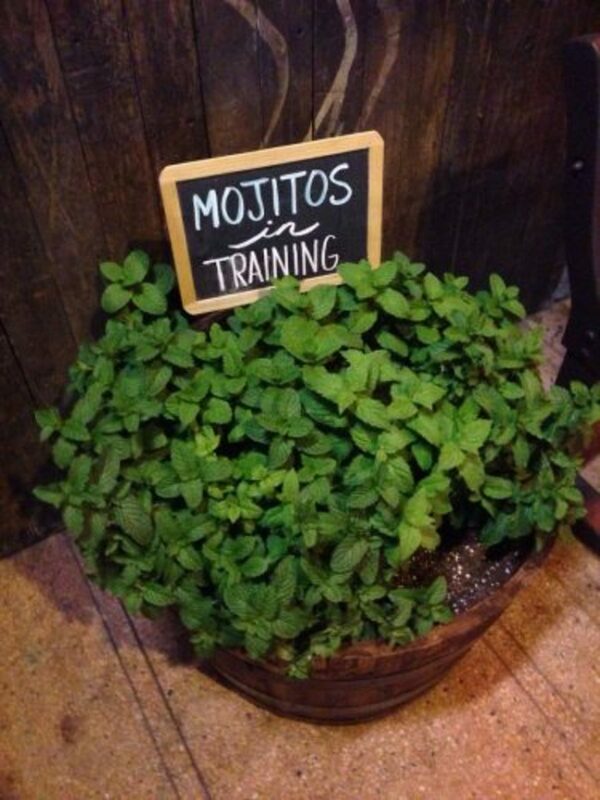 You’ll also find them when you’re out in public at your favorite restaurants or in your favorite bars. They’re also everywhere around you when you’re working in the office or at your shop. And if you have a job in customer service, then you know how prevalent rudeness is. It’s a real problem! Simms came up with a simple solution to fix the problem at his coffee shop. He decided to charge prices based on how nice people were. 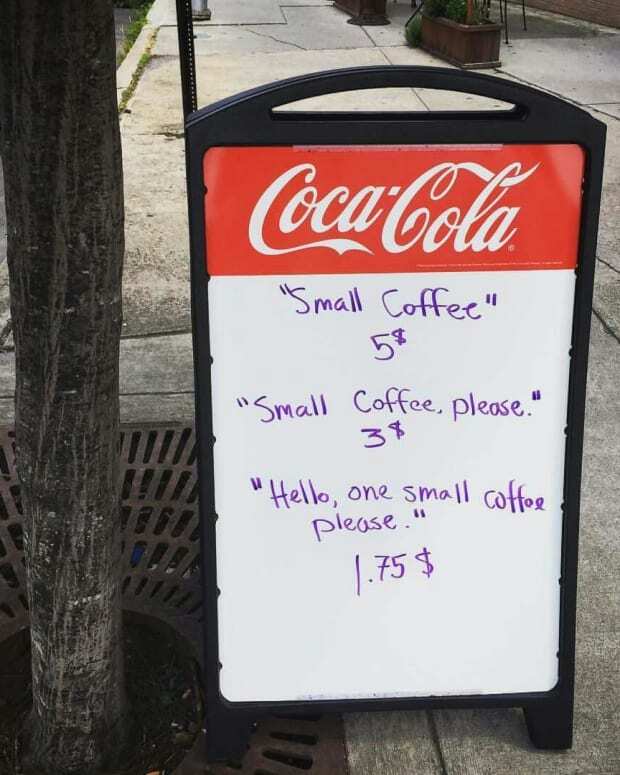 If people barged into his shop and demanded a small coffee, it would cost them five bucks. 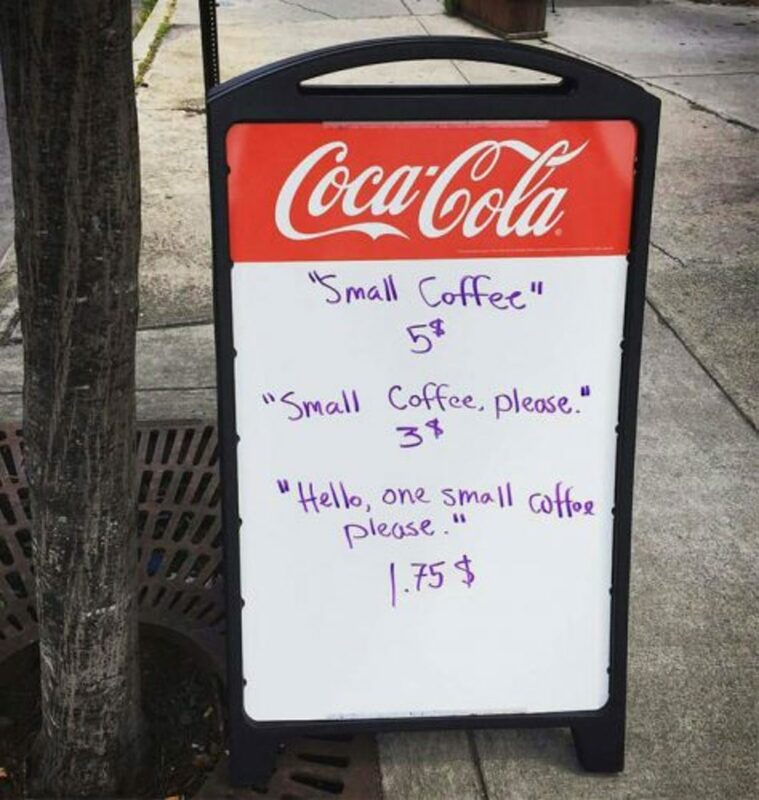 But if they greeted the server and said please while ordering, the price dropped all the way down to $1.75. 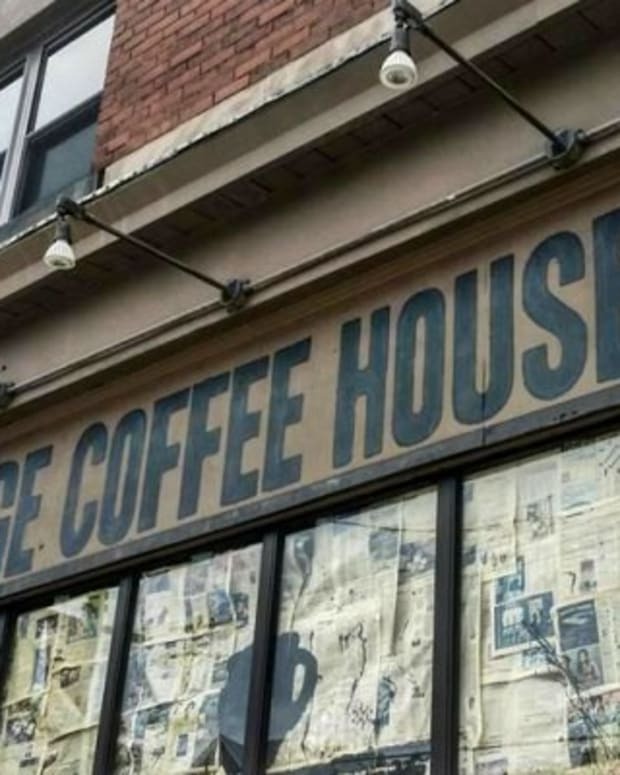 Simms is not the only restaurant owner using his establishment to send messages, political and otherwise, to people who come through the doors. 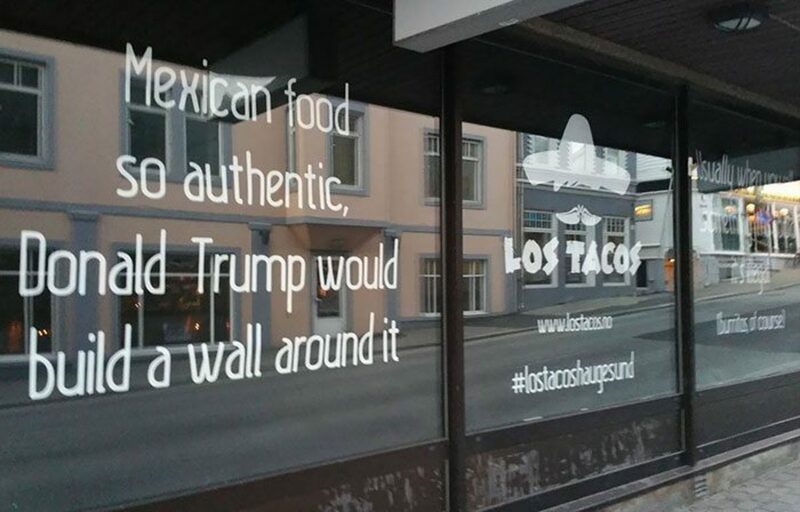 A local Mexican restaurant posted a message on their window that made a controversial statement on their glass window. It used the political controversy involving Donald Trump and his passion for closing the Mexican border and building a wall. 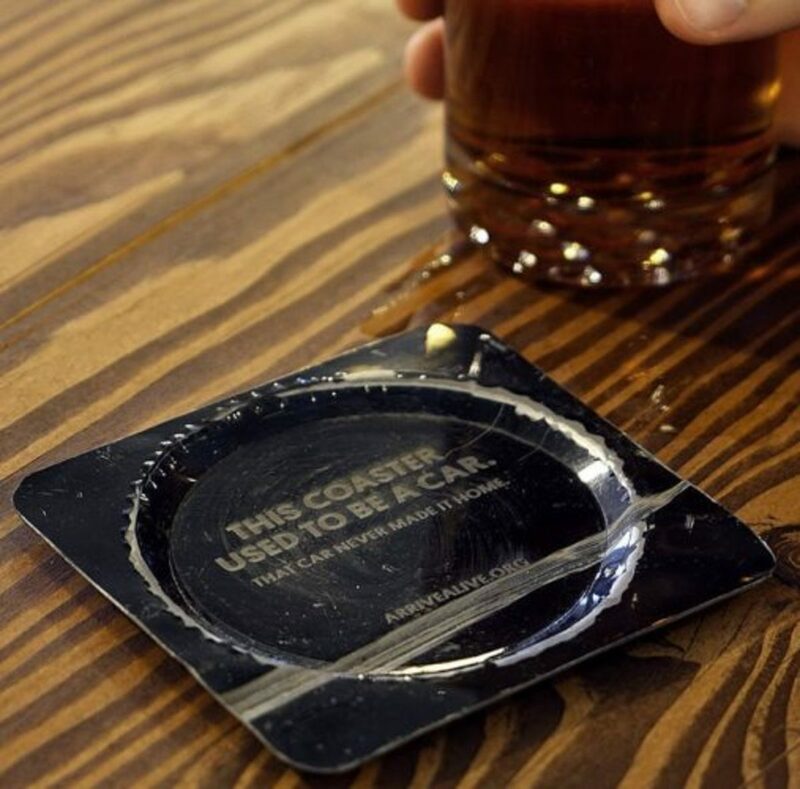 Another sign that comes in the form of a coaster at a bar leaves people thinking. The bar used signs from cars that were wrecked during drunk driving accidents. The sign was a simple way to raise awareness and to get drunk drivers off the road. 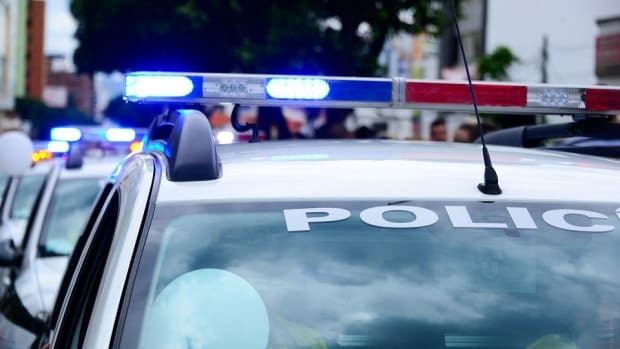 Although the sign was in the bar for St. Patrick’s Day, people who know victims of drunk driving believe it should be a coaster that gets put in bars every day of the year. 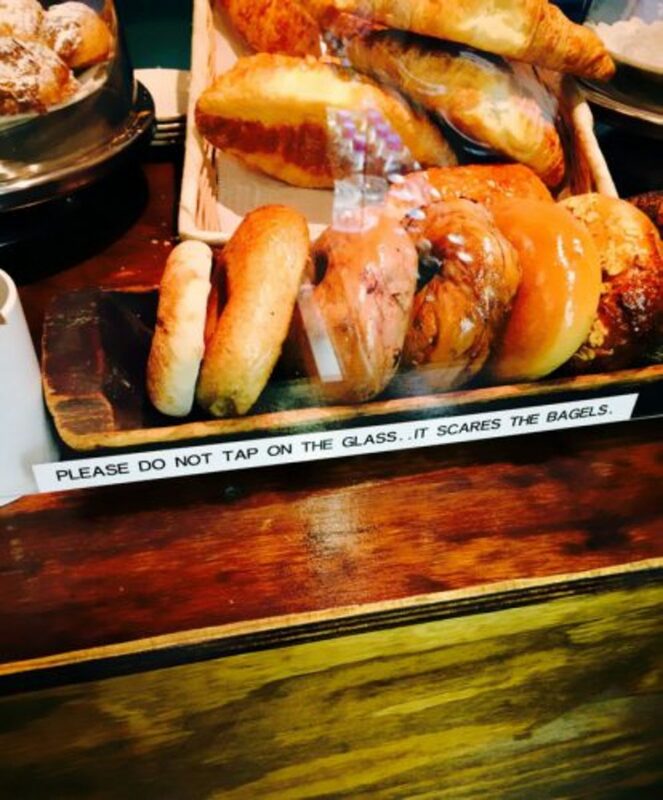 One bagel shop grew frustrated when people started putting their dirty hands all over the clean glass of their pastry display. 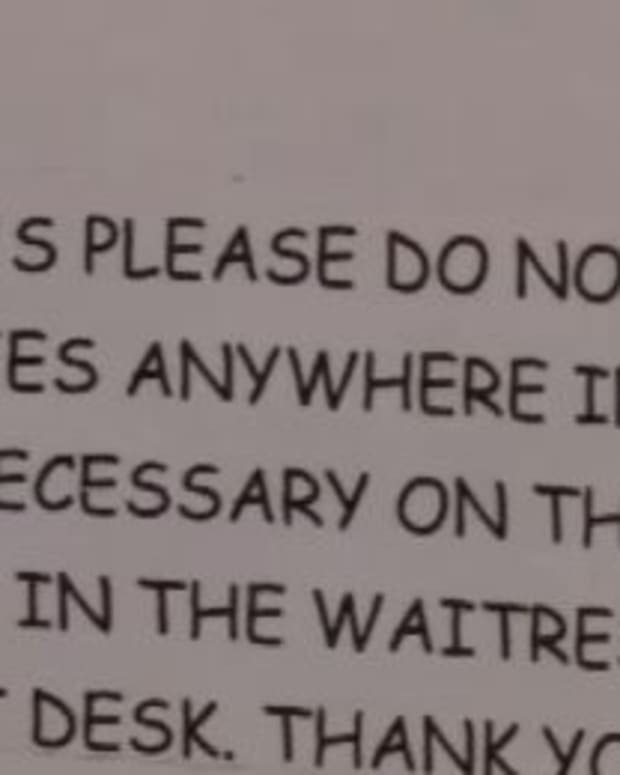 Because people would leave smudges and grease stains all over it, they posted a sign inside the display that provided a very good reason to keep hands off! 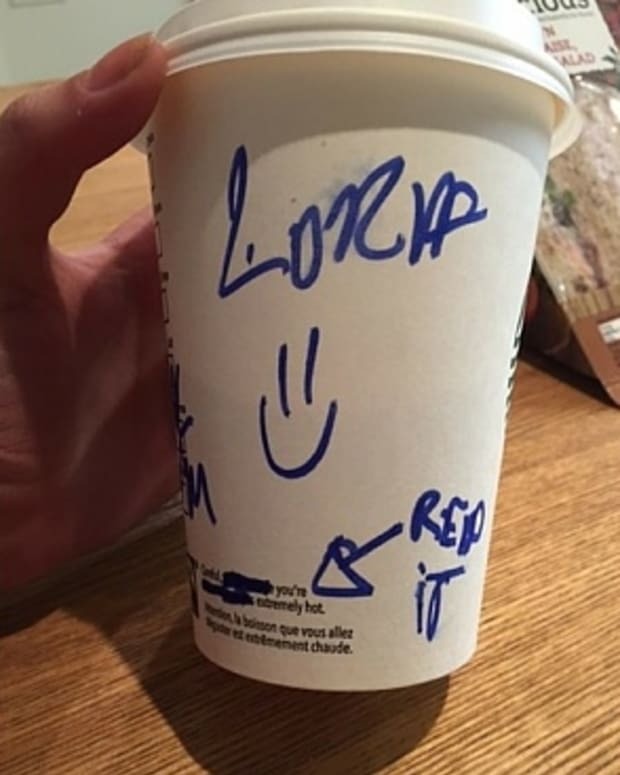 Cutesy writing like this has become very popular recently. Advertising companies are looking to instill more “voice” into their ads so people can relate to brands and companies. 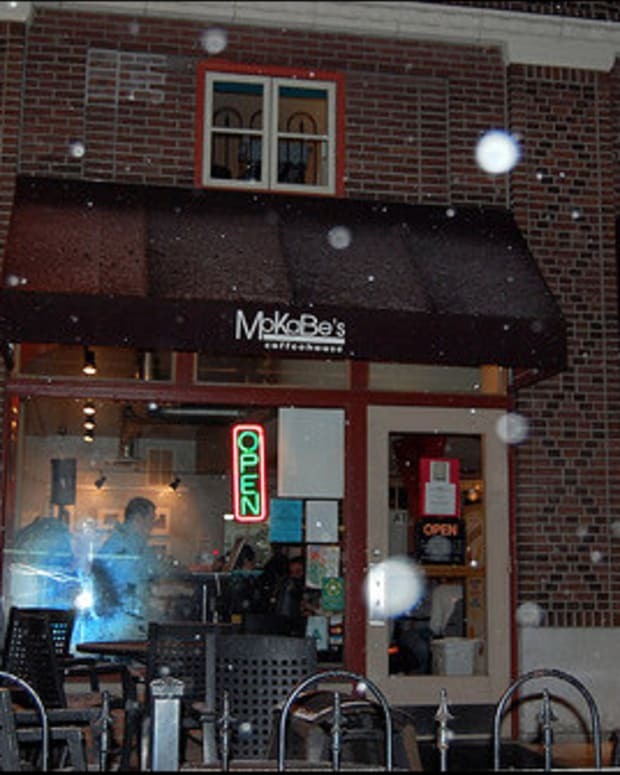 Do you have a favorite sign at a restaurant? Tell us! 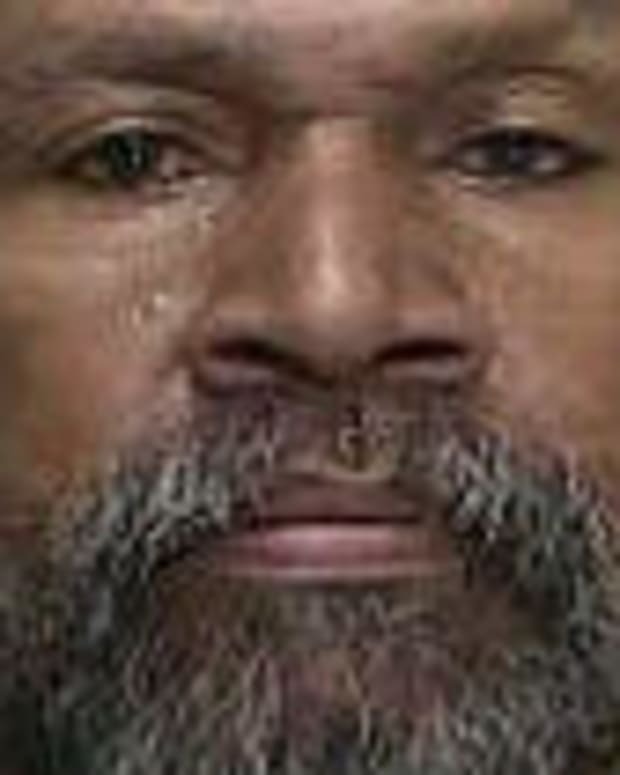 Man Arrested For 9th DUI Claims "Beer Is His Coffee"